Crowdfunding website Kickstarter offers a trove of insights for making predictions about future product and publishing trends. Two innovative recipe projects – Panna and Culinary Pal- recently caught my attention. 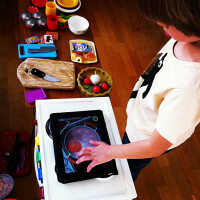 Both projects highlight digital home cooking tool trends worth keeping an eye on- video, increased focus on technique, interative iPad experiences and voice-enabled search and instruction. Additional trends and predictions are highlighted in our 2011 Recipe Trends article. 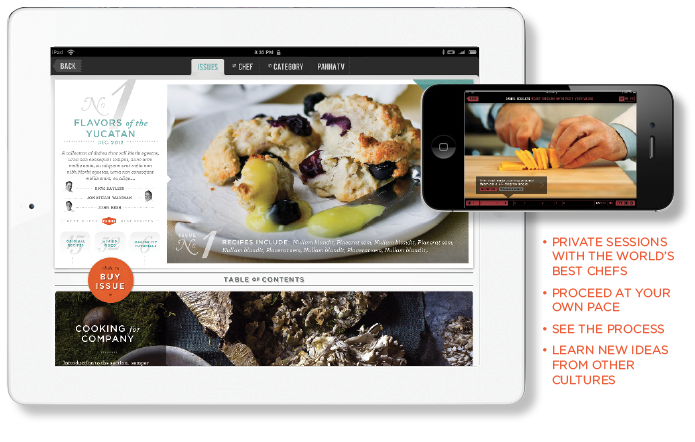 Panna is an iPad and iPhone-based monthly video cookbook subscription app. 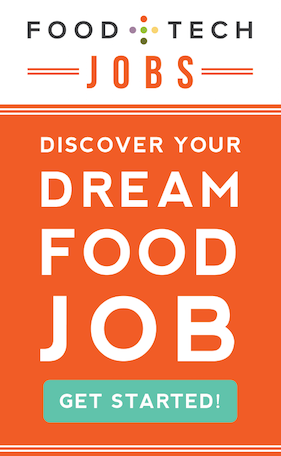 Launching in September 2012, each cookbook will feature 15 video recipes taught by master chefs like Rick Bayless of Frontera Grill, Anita Lo of Annisa, and Nancy Silverton of Osteria Mozza. The recipes will be organized into sections such as entertaining, weeknight meals and classics. Panna is looking to raise $25,000 to cover the costs of filming and launching their inaugural issue. 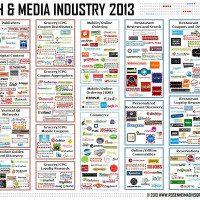 While I have not tested the app, it appears to be beautifully designed, which combined with user experience, could give it an edge on other video recipe platforms on the market like Rouxbe It will be interesting to see how Panna founder David Ellner’s 25 years of business, media and technology experience, working with artists like Stevie Wonder and running digital and business development for American Idol, help him differentiate Panna from others in the saturated recipe tech space. More information about the project is available here. Culinary Pal, is a voice-activated cooking application that allows users to searches for recipes on allrecipes.com and listen to cooking instructions through self-paced voice commands. The app is one of three apps beta testing YiZRi LLC‘s VoiceSee, a patent-pending technology enabling hand and eye-free web browsing. 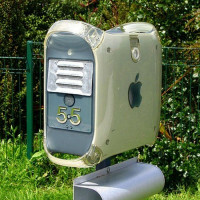 Currently available for Android phones (free), an iPhone and iPad app will reportedly be available in the coming months. VoiceSee is looking to raise $100,000 to complete beta testing, develop iPhone and iPad mobile apps, and to to develop new applications that “will transform the way people and technologies collaborate,” said YiZRi LLC founder Daniel Ben-Ezri. More information about the Kickstarter campaign is available here.